– Identical to Bitcoin for block time, reward, total coins, etc. So what’s cool about Namecoin? Pretty simple — it’s an update on the current DNS system. DNS is run by ICANN, a centralized institution that has been, for the most part, fine. We all know how centralized institutions trend, though — better to replace them while they’re young and well-run than to wait until they’re old and corrupt. No offense intended to ICANN. Zooko’s Triangle (https://en.wikipedia.org/wiki/Zooko%27s_triangle) clearly illustrates what Namecoin brings to the table. DNS is secure and human-meaningful; Bitcoin is secure and decentralized. 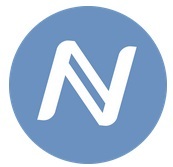 Namecoin combines those two: It is secure, human-meaningful, and decentralized. On a practical level, what does this mean? It means that in the future, you can expect to see “.bit” addresses begin to pop up. When you do, those are created and owned by spending Namecoin. How does Namecoin do this? Namecoin’s code is nearly identical to Bitcoin’s, but with some additions. Specifically, they added a few new commands that can be run, the most important of which are name_new, name_firstupdate, and name_update. name_new lets you put out a hash of your desired name, and then allows a brief waiting period for you to send out your name_firstupdate, “claiming” the name. name_firstupdate costs .01NMC — the cost is not sent to anyone, but is instead destroyed by the network. Once you’ve processed a name_firstupdate, you have to send out a name_update every 35,999 blocks (~2xx days) to retain control of the name. Something interesting to know about this is that it’s not just for .bit addresses — it’s for names (of which .bit is a form). You can use this same system to link your real-life identity in a permanent and inextricable manner to a Namecoin address, or for a myriad of other purposes. It’s quite a powerful tool. But is it the sort of tool that is worth a market capitalization of 27,500 BTC (or $17MM in dirty fiat)? Is it the sort of tool that’s realistically worth any determinable amount of money, or is its value an entirely nebulous entity? How can we pin it down? I would suggest that a way to attempt to value it is to compare it to DNS registration as done by ICANN. ICANN currently charges $0.18 per year to register a domain. However, you can not register directly with ICANN. You must go through one of a number of approved registrar entities. Generally speaking, registrar’s can be quite expensive — GoDaddy, for instance, charges $14.99 per year. The value of a DNS registration is a complex entity, but consider what it would mean if we assume that an extremely well-built Registrar was able to charge a minimal amount more than the ICANN fee of $0.18 per year — pretend they charged $0.20 per year for their service (which is FAR from the case at current, where the cheapest you’ll find is $5-$8 per year, for lesser TLDs). Pretend though, that $0.20 per year is the perceived “value” of a DNS registration. If that’s the case, Namecoin is at current GREATLY undervalued — a Namecoin is currently ~$1.80, and you only have to pay 0.01 Namecoin one time. Currently, you do have to renew your Namecoin domain, but it’s free. This is expected to change in the future, with a renewal fee being anticipated. This will likely end up going to miners, making the system a self-sustaining entity–you’re buying Namecoin in order to send it to miners in order for them to do the work of ICANN and the Registrars. Quite clever, isn’t it? When this renewal fee comes about, one can still imagine it will be less than 0.01 NMC. To return to the real point, though: Namecoin is greatly undervalued at current if you assume that .bit domains will eventually be of similar utility to others, like .com domains. They’re much cheaper and simpler to run, due to the value of the Namecoin blockchain, which provides a decentralized ledger for storing registration information. In a world in which they are of similar utility, a Namecoin would be worth at least $20, if not far more — it’s simply going to out-compete DNS by being decentralized and supported by blockchain technology. That’s a pretty large difference. An immense one, even. Why the discrepancy? What’s the pitfall? 1. .bit doesn’t take off, for whatever reason. Very unlikely, in my view. It’s not difficult to add it to the existing system, so it will be added. 2. Namecoin-like clones begin to appear, competing with Namecoin. Interestingly, I view this situation as likely to occur, but unlikely to defeat Namecoin. 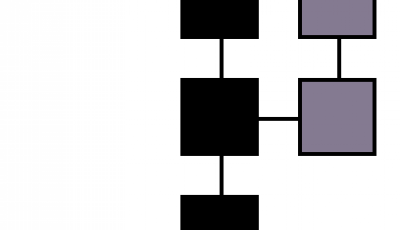 This is a situation in which unifying around a single network provides the best value to the group (least resources expended to maintain information; the blockchain). If multiple blockchains are used for DNS, it’s less efficient; therefore, it seems most likely one will emerge dominant. 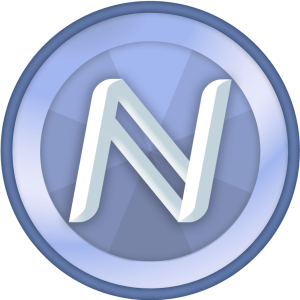 Namecoin has massive first-mover advantage in this instance, much like Bitcoin. Perhaps there is a way to improve what Namecoin has done, but outside of that, Namecoin seems like a solid bet. That’s all for Namecoin — there’s so much more to talk about with regard to ways to evaluate the network’s value, but for now, we’ll just lay this base for discussion. Questions, comments, arguments? Sound off in the comments, or get at me on Twitter!